In the twenty-fifth year of the reign of Cyne Colfre, a fifteen year-old girl named Mereddyd-a-Lagan sought to wield powers reserved, until now, for men. Would she attain the station of Osraed…or die a heretic like the one who went before her? ©1992 Maya Kaathryn Bohnhoff (P)2013 Audible Inc.
Would you try another book from Maya Kaathryn Bohnhoff and/or Brittany Pressley? I would be interested in another book from Maya Bohnhoff, but not with Pressley as the reader. What was one of the most memorable moments of The Meri? I can't choose just one. I like the main character's insights. Mispronounced words, using wrong words (such as mediation for meditation), putting pauses and emphases in the wrong places. 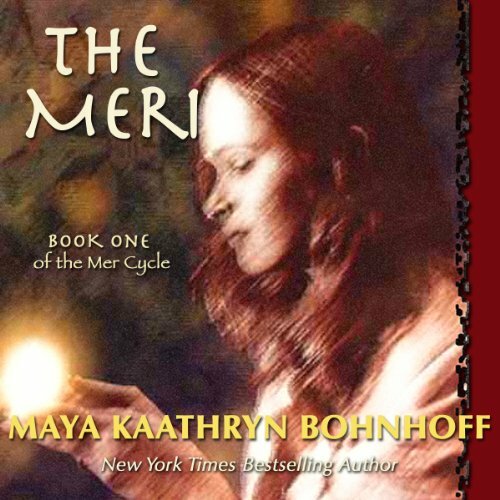 Do you think The Meri needs a follow-up book? Why or why not? It would be interesting to hear more of the story.